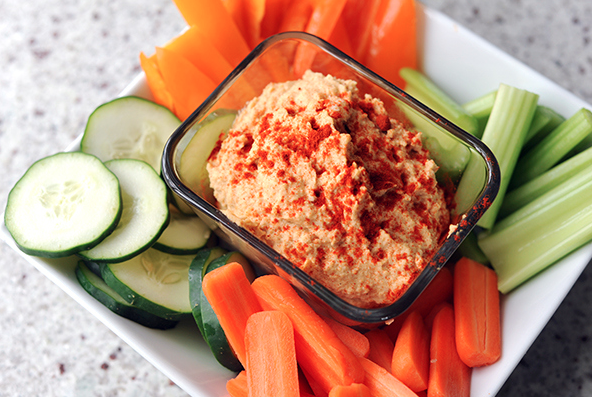 One of my favorite snacks is fresh veggies with hummus. Here is a quick recipe for making homemade hummus. Let us know if you try it and if you would like to see more quick easy healthy recipes. In a food processor, puree the chickpeas and garlic with the olive oil, lemon juice, tahini (if using), cumin, and ¾ teaspoon salt until smooth and creamy. Add 1 to 2 tablespoons water as necessary to achieve the desired consistency.